The Pavilion is a brand new product offering from Rosewood, providing an exclusive and private location for hosting events as well as luxury accommodation for guests. With a mixture of corporate events and individual occasions to take into consideration, Thump was challenged with the task of keeping in-line with Rosewood’s existing branding, whilst making The Pavilion stand out in its own right and appeal to a completely new market sector. 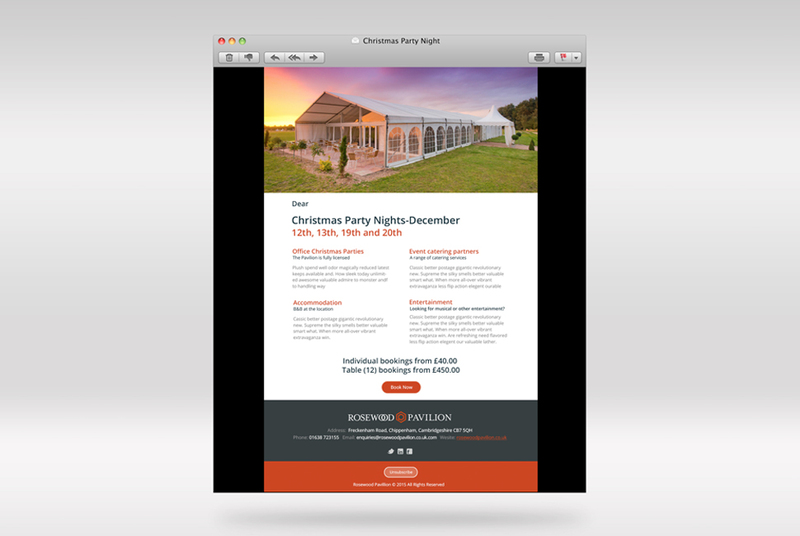 The end result of this project was a stunning website, core stationary and comprehensive marketing campaign. Completed with in-house photography, this included flyers, emails and direct mailing to promote the venue.